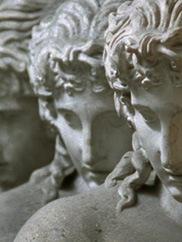 Ancient Greece’s lasting influence on Western civilization and culture is explored in The Owl’s Legacy, a 13-part, 5½-hour nonfiction film by France’s preeminent cine-essayist Chris Marker (1912–2012), director of La Jetée and Sans Soleil. Made for French television and first broadcast in 1989, the film went into a decades-long eclipse shortly after. One notable interviewee in the movie, philosopher George Steiner, angered one of the series’ primary sponsors with his on-camera assertion that modern Greece has little connection to its glorious, ancient past. So that funder, the Onassis Foundation, suppressed the series for almost 20 years. But now it can be seen again—and in a beautiful new restoration supervised by the Cinématheque Française. To tackle his wide-ranging topic, Marker invited a diverse group of artists, scholars, thinkers, and scientists from different cities (Athens, Paris, Berkeley, Tbilisi) to discuss various ideas while sitting around a table replete with food and wine. Marker filmed these conversations (true symposia in the classical sense) and intercut excerpts from them with archival material, classic film clips, and his own original footage. Each of the 26-minute episodes in The Owl’s Legacy addresses a Greek-derived term or concept—from democracy and philosophy to mythology and misogyny. Surprises abound. We are told that enlightened ancient Greece provided a template for Nazi Germany, that Greek democracy was a myth because most Athenians were slaves, and that modern Japan is more closely aligned with ancient Greece than is any European nation. Presiding over and appearing throughout this provocative, playful project is the owl, the symbol of Athena, goddess of wisdom. The Owl’s Legacy will be shown in four parts in Morley Lecture Hall. (French/Greek/English, with English subtitles) Admission to each part is $10, CMA members $7. Program includes Symposium—or Accepted Ideas, Olympics—or Imaginary Greece, Democracy—or the City of Dreams, and Nostalgia—or the Impossible Return. Program includes Amnesia—or History on the March, Mathematics—or the Empire Counts Back, and Logomachy—or the Dialect of the Tribe. Program includes Music—or Inner Space, Cosmogony—or the Ways of the World, and Mythology—or Lies Like Truth. 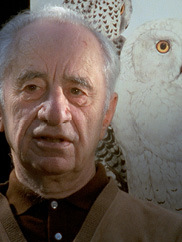 Program includes Misogyny—or the Snares of Desire, Tragedy—or the Illusion of Death, and Philosophy—or the Triumph of the Owl.